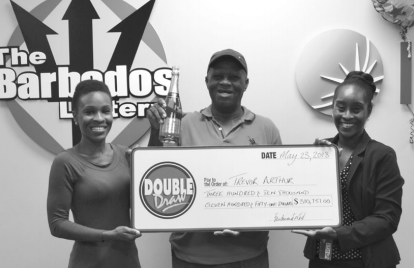 WHEN TREVOR ARTHUR went to Redman’s Village Mart to purchase a lottery ticket, it was a visit that would make a big difference in his, and his family’s, life. 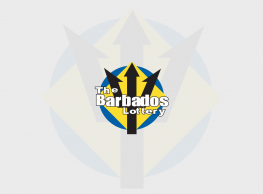 Later that evening, as he was watching the Barbados Lottery draws on television, he saw his number appear and realised that he had won just over $300 000 on the Double Draw game – his first win. “It was a beautiful feeling,” said Arthur. “Words cannot explain!” At first, he could not believe his eyes, and had to call his daughter to verify that what he was seeing was true. “My daughter said, ‘Daddy, you got it for true,’” said Arthur, a 66-year-old father of two. “I don’t believe I slept that night. I kept the ticket close to me. 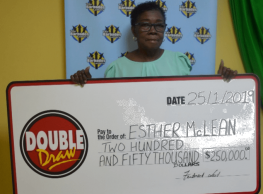 The next day, I went to work feeling on top of the world.” Arthur had purchased $20 in tickets and won back $3 from the $20. He then purchased tickets through the Quick Pick facility (where the computer randomly picks your numbers). 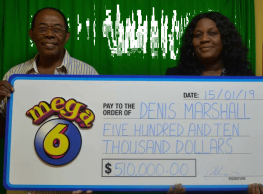 He plays all the Barbados Lottery games regularly, and his favourite is the Mega 6.